Bobo was a good dog who loved to meet new people. But Bobo wasn’t that good at it. He tried making muffins and bringing in the laundry, but he burned the muffins and tried wearing all the laundry at once. 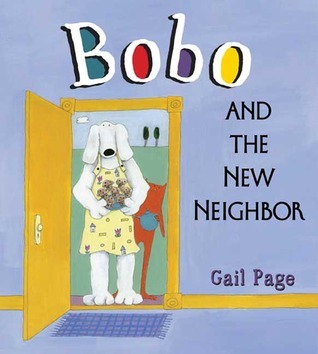 When Mrs. Birdhead mistook him for the new neighbor, Bobo didn’t try to correct her because the muffins she made smelled so good. He ended up eating all the muffins but one, which he kindly left for the real new neighbor. 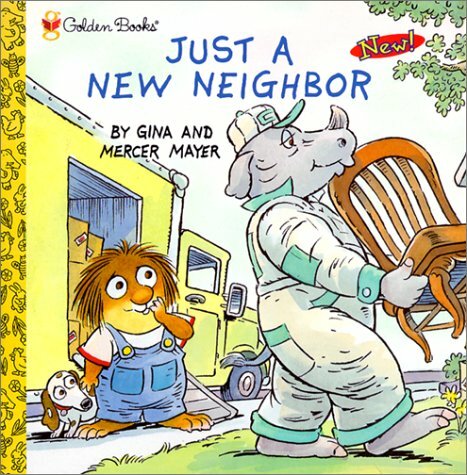 Hector’s new neighbor plays the trombone, moves heavy furniture across the floor, and bangs nails into the wall. So Hector decides to win him over with a gift and a note welcoming him to the quiet neighborhood. 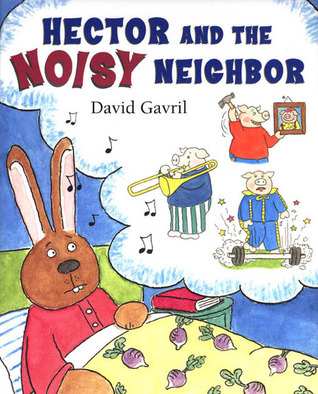 But Rutherford, the pig only grunts and snorts and eats up the whole pie noisily then listens to loud music and begins vacuuming. Hector tries inviting his new neighbor over to dinner to talk to him quietly. Rutherford, the pig eats two helpings of stew then goes back to his apartment where he hops on a pogo stick and drops heavy weights on the floor. When Hector has had enough he begins making his own kind of noise. Rutherford, the pig comes over and joins him. Now they’re both making noise and disturbing the landlord who was trying to hibernate, but now he joins the group and the form a band! Little Critter is super excited about having new neighbors until he meet her. It was a girl! She thinks he’s kind of cute, but he doesn’t want to have anything to do with her. He jumped over the fence, climbed the apple tree, jumped onto the clubhouse roof, sung across the stream on the big rope, tumbled down the grassy hill, and landed in the mud. She followed him over the fence, up the apple tree, onto the clubhouse, down the grassy hill, across the stream, and into the mud. He looked at her, and they decided to do it again!